Plaseebo will be sharing booth No. 2682 with Monster Worship in The CULTYARD at the 2010 NYCC. I am looking forward to putting faces on the many folks I have only met online. I will have lots of one off KAIJU customs and three Exclusive 2010 NYCC Ultra Limited Editions to be released on Friday and Saturday. 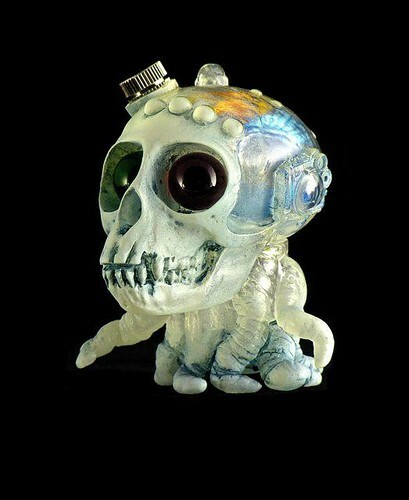 The first Plaseebo NYCC edition will be " The Blue Ice Skulloctopus From Outer Space " limited to 10 pieces hand painted Bob. 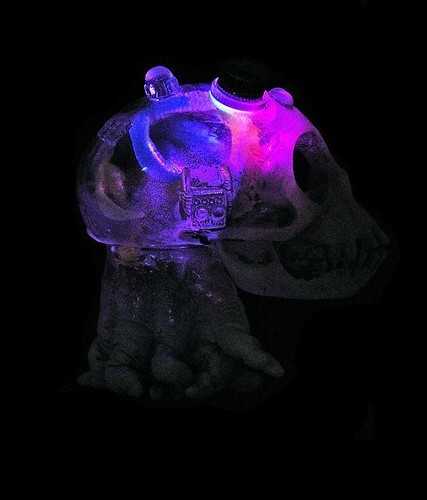 Clear vinyl made in Japan with red and green glass eye inserts, color brain inserts and a switched externally mounted color changing LED unit that illuminates the interior of the skull.